Traditional design feeder with proven results. The MaxClassic is easy to manage from start to finish. The MC-13 feed pan classic design. 13″ diameter and a 14 spoke grill. Rim-to-floor pan height allows the chicks easy access to feed. For brooding, the pan is flat on the floor with the feed flow height within the pan. This allows the birds to consume without wasting or spilling feed on the floor. 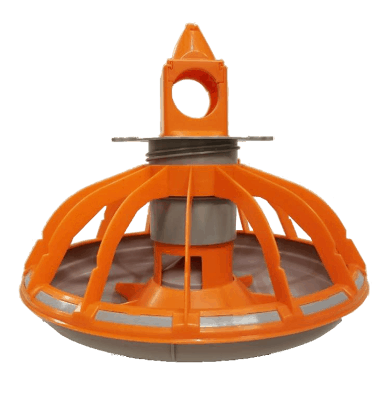 With quality being our goal; the design of the MaxClassic® feeder is manufactured from high quality plastics, which ensures years of trouble-free use. The MC-13 feed pan can be easily assembled. The pan has different feed level settings. Choose your desired feed level with just a simple twist of the feed level selector. Feed windows: when the pan rests on the ground, its 3 windows open automatically and fill the pan. The pans are easy to install and remove for cleaning. The grill may be attached to the pan by using zip ties for cleaning. Click here for our Regional Offices and Official Distributors in Latin America, Asia, the Middle East and Africa. 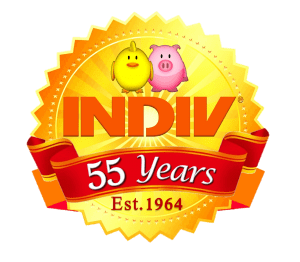 ©2017 INDIV USA. All rights reserved.